This article will discuss importing connections between object. 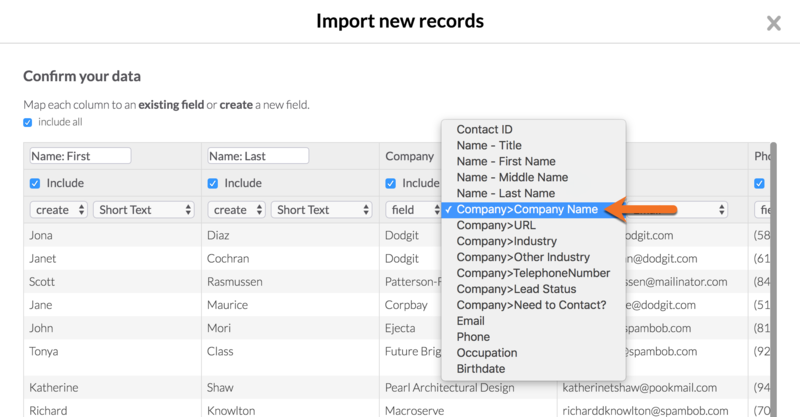 Note: If you're importing and setting connection values to multi-part fields, such as Name & Address fields, you'll get inconsistent results or the values won't be set at all. We are working on this, but in the meantime suggest you use other unique fields such as email address or an ID field as your display field in the connected object and map to that value in your import.